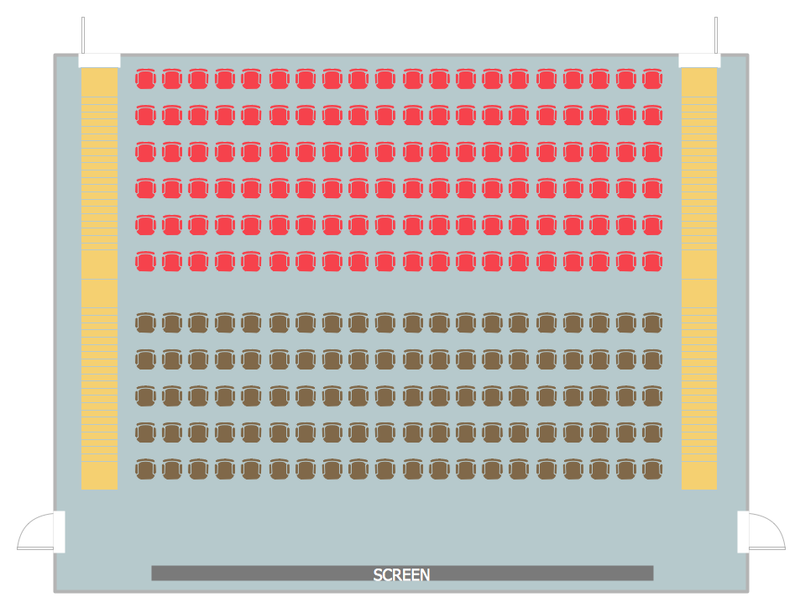 Seating chart developing is necessity for constructing and building the cinemas, theaters, banquet halls, auditoriums, and other premises for accommodation a large number of people. Seating chart template can help you design professional looking seating plan. ConceptDraw DIAGRAM diagramming and vector drawing software recommends you to use the Seating Plans solution from the Building Plans area for designing the seating charts. There are two ways of developing seating charts in ConceptDraw DIAGRAM First of them is to use the seating chart template and fill it, or sample which can be changed for your needs. 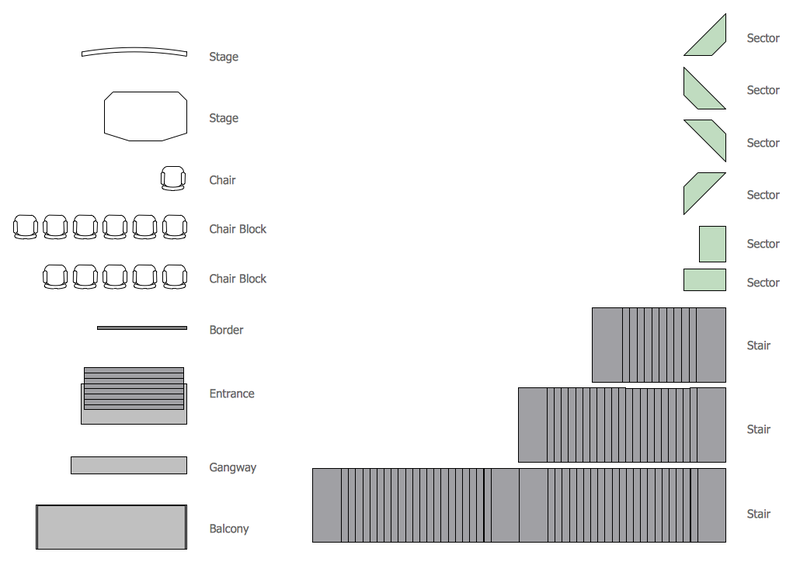 It's convenient to use the ready vector objects during the designing process, that's why was prepared the Seat Blocks library of objects for Seating Plans Solution. Seat Blocks library contains 18 vector shapes. 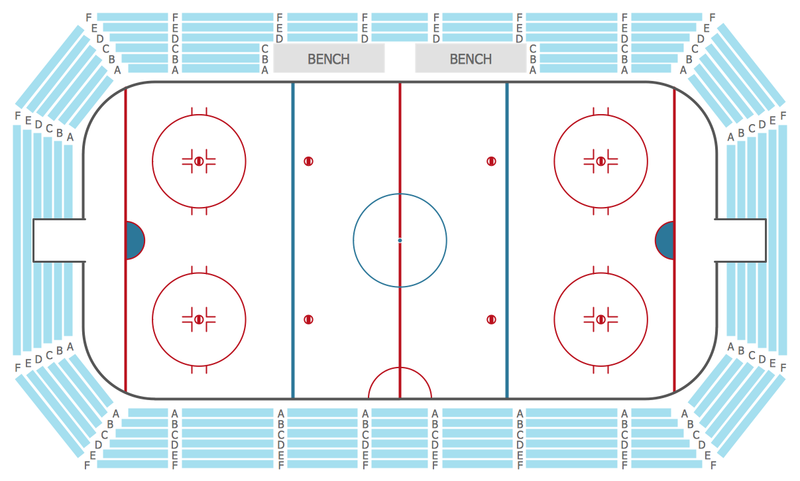 Use them actively developing your own seating plans and layout designs. Application of colors will help you make your plans more beautiful and attractive. The samples you see on this page were created in ConceptDraw DIAGRAM using the tools of the Seating Plans Solution from the Building Plans Area. They successfully demonstrate solution's capabilities and professional results you can achieve. Use the Seating Plans Solution for ConceptDraw DIAGRAM to depict your ideas on the seating chart template or sample quick, easy, and effective.